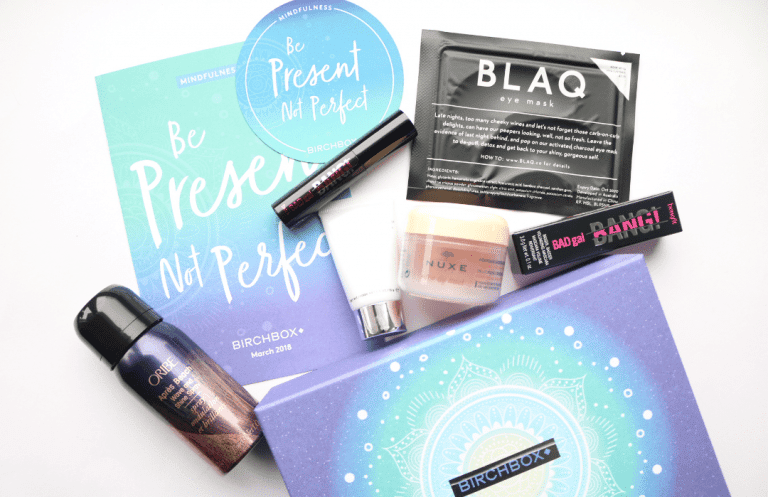 The resurgence of Mindfulness has been one of the most useful movements in helping to promote better and more positive mental health, so I was pleased to see that Birchbox have themed their March box around Mindfulness with the helpful slogan of ‘Be Present Not Perfect’. To celebrate this theme further, they have a really cool box design and all of the beauty products included this month are based on self-care and making you look and feel better. 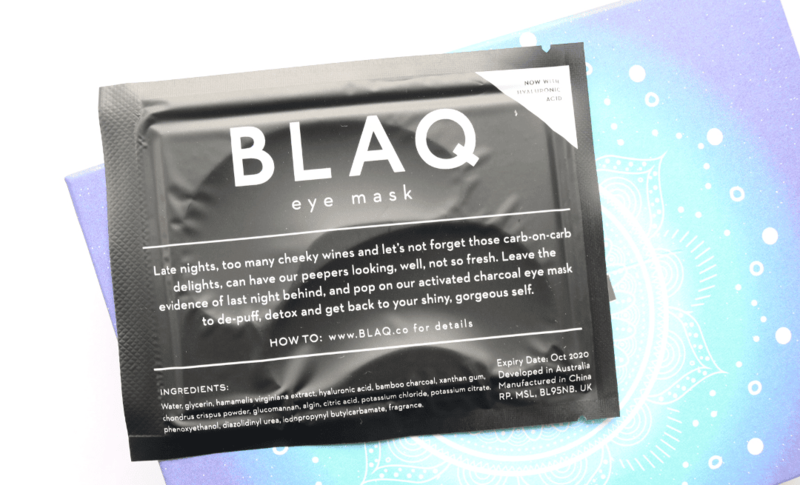 I love eye masks and these ones from BLAQ look very interesting. Formulated with Activated Bamboo Charcoal and Hyaluronic Acid, these eye patches get to work in just 15 minutes to gently detox and de-puff congested under eyes, to reveal brighter and well-rested peepers. Perfect for special occasions, nights out and whenever you want a quick fix to look your best. 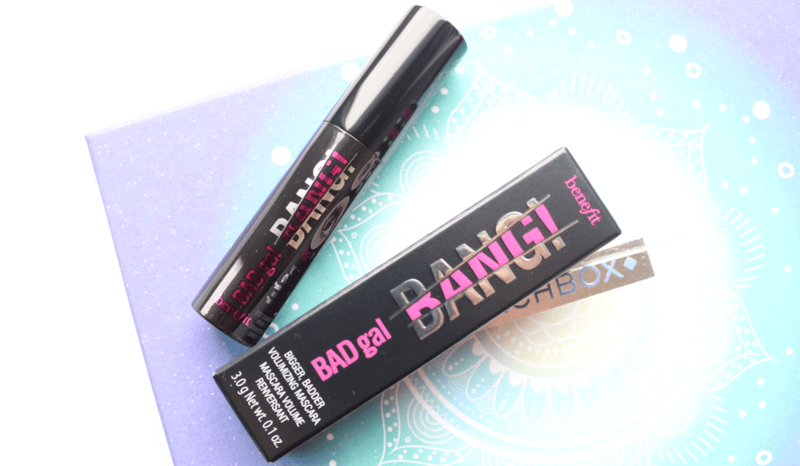 This is the brand new mascara from Benefit and I’ve been wanting to try it out since I saw it launch! Apparently, it contains a special gravity-defying formula that features ‘aero-particles’ which are commonly found in astronauts spacesuits, to deliver volume that lasts up to 36 hours. Well, I don’t know about that, but I can say this mascara is really good and definitely gives my lashes a more volumised finish so I’m happy with it! Next up, I found one of my favourite face masks from Glam Glow. This is their bestselling Supermud Clearing Treatment which is a must-have for anyone who has oily, combination or blemish-prone skin. It features a combo of six different types of acids combined with Activated Charcoal to unclog pores, remove impurities and leave your skin looking brighter and clearer in just 20 minutes. Brilliant stuff. 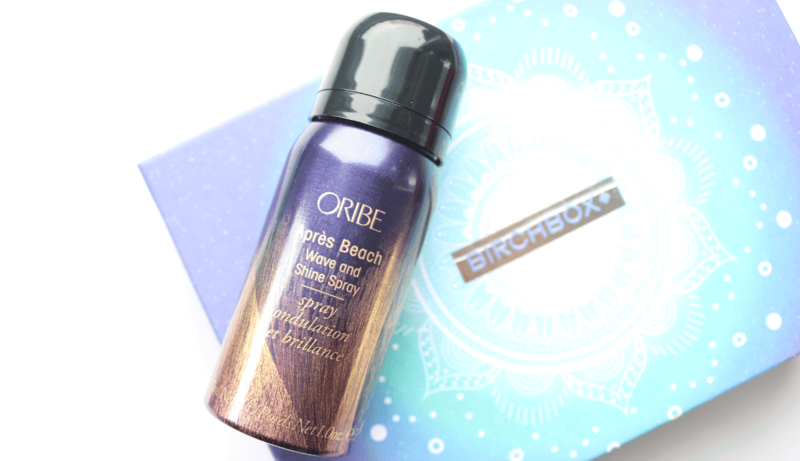 For some luxury haircare, we have a handy travel-size can of Oribe’s popular Apres Beach Wave and Shine Spray, which is another product that I’ve been wanting to try out for a long time. This clever 2-in-1 formula works on both wet and dry hair to create a natural and unfussy appearance of covetable beachy waves in a matter of minutes. I’ve only tried it once so far, but I loved the results! 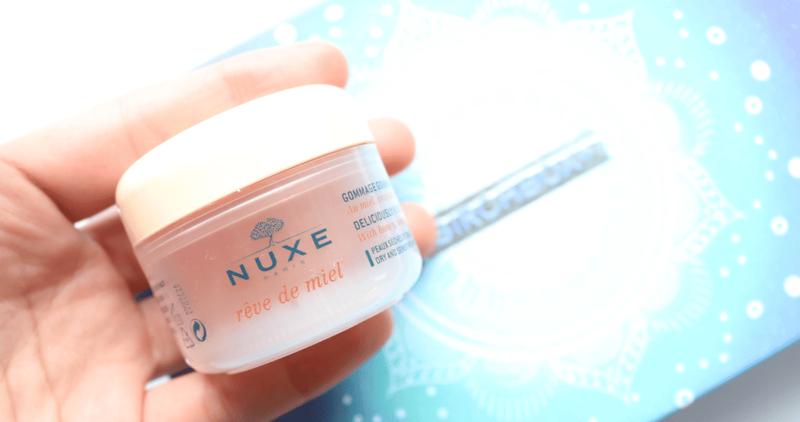 The fifth and final product in this month’s Birchbox comes from the cult French band, NUXE, who I’m a big fan of. Their Reve de Miel Body Scrub is a real pampering treat and uses a blend of sugar crystals and rice grains to gently exfoliate away dull, dead skin cells, revealing brighter and more radiant skin underneath. It smells gorgeous too! This is my favourite Birchbox from the last couple of months - I love all of the products, especially the Oribe spray and NUXE Body Scrub!